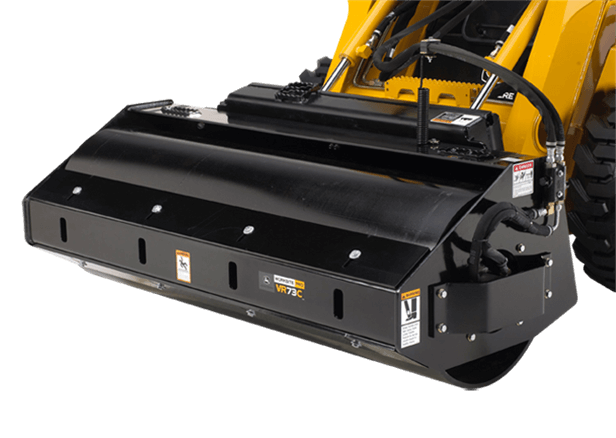 Worksite ProT VR73C vibratory rollers turn a skid steer into a powerful compactor, ideal for asphalt patch, foundation, trench, and flatwork compaction. They're very economical, since owning one eliminates the costs and maintenance of a self-propelled roller. Powered by standard hydraulics, the VR73C roller produces compaction forces up to 8,550 pounds.